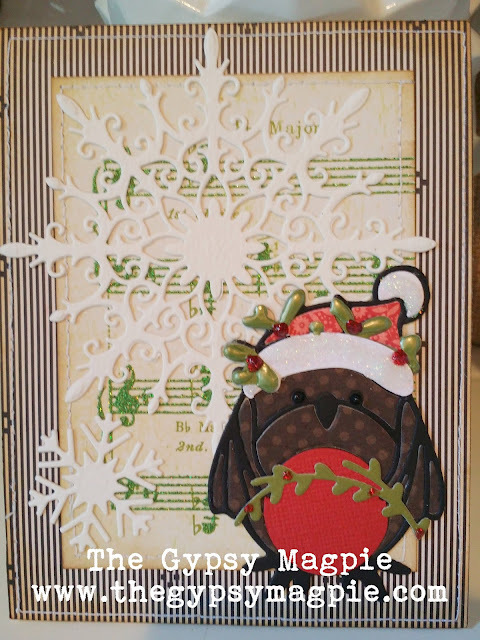 This week has been filled with some early Christmas projects and while I've been enjoying listening to my favorite holiday tunes, it's been so hot here in California I've been afraid my paper snowflakes were going to melt! 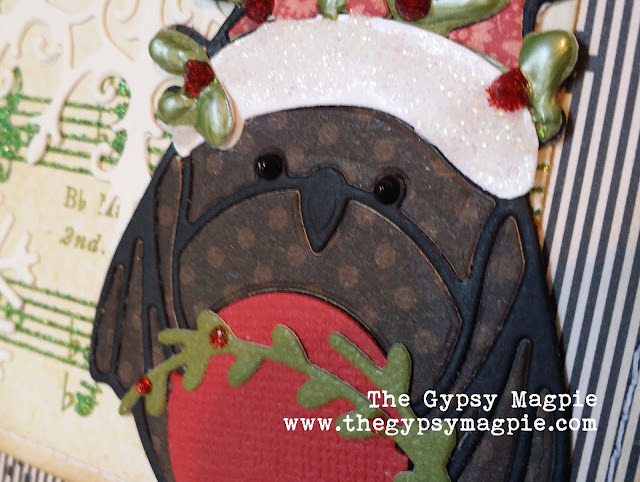 This sweet little Festive Robin die is SO cute and just perfect for some paper piecing! 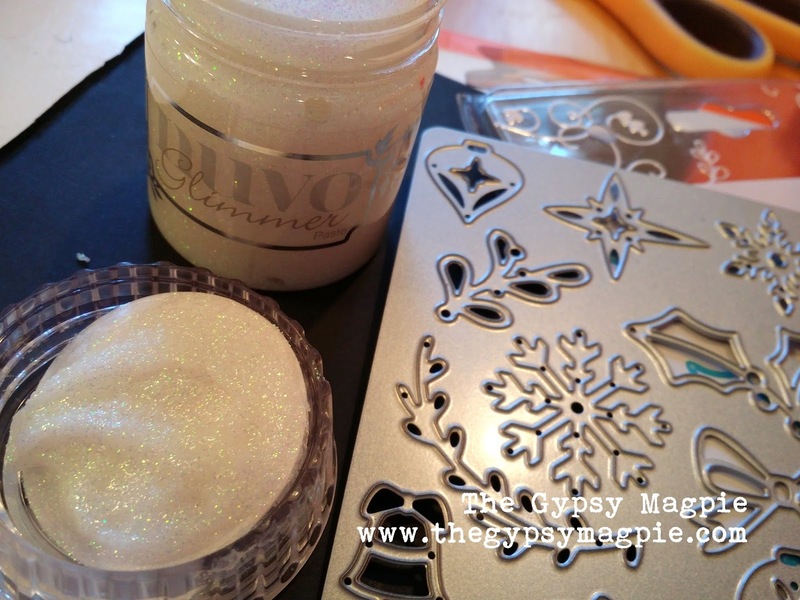 It was also the perfect opportunity to try out my new Glimmer Paste from Nuvo. I used a small paintbrush to apply it to the hat's brim and the pom pom at the tip. This product made wonderful snow! It shimmers just like the real thing and dries with the same dimension it has when you brush/spread it on, but best of all- it doesn't melt! The tiny little branch in the robin's hand is from the great little set of Miniature Wreath Decorations. I love how it cuts out a bunch of pieces with just one pass through the die cut machine. 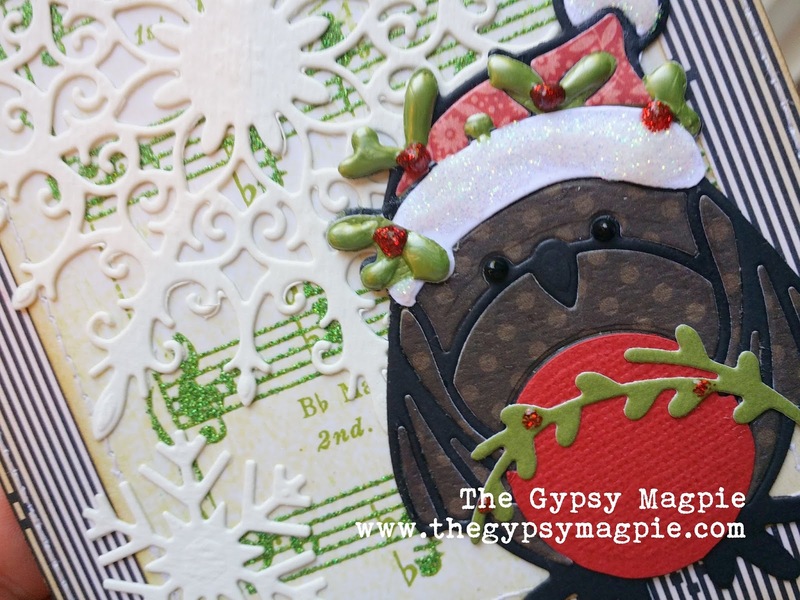 More Nuvo Crystal Drops as the tiny red berries and green sprigs decorating the hat. You'd better start preparing- the holidays are on their way!